In 1979, an Israeli censorship committee chaired by the justice minister deleted five evocative paragraphs from Prime Minister Yitzhak Rabin’s memoir: his first-person account of the expulsion of Arab residents from the towns of Lydda and Ramle during Israel’s War of Independence in 1947-49. The description contradicted the heroic official line, which pictured Arabs as fleeing the fighting, not being deliberately forced out by Israeli forces. Yet the deletion puzzled Rabin. When I learned about it at the time, he told me wryly that he had intentionally given the censors something else to do by writing about Israel’s nuclear weapons. He and his generation knew very well that Arabs had been expelled. It was no secret to those who had been there, one of whom happened to be a masterful writer, Yizhar Smilansky, an intelligence officer with acute vision and moral dignity. 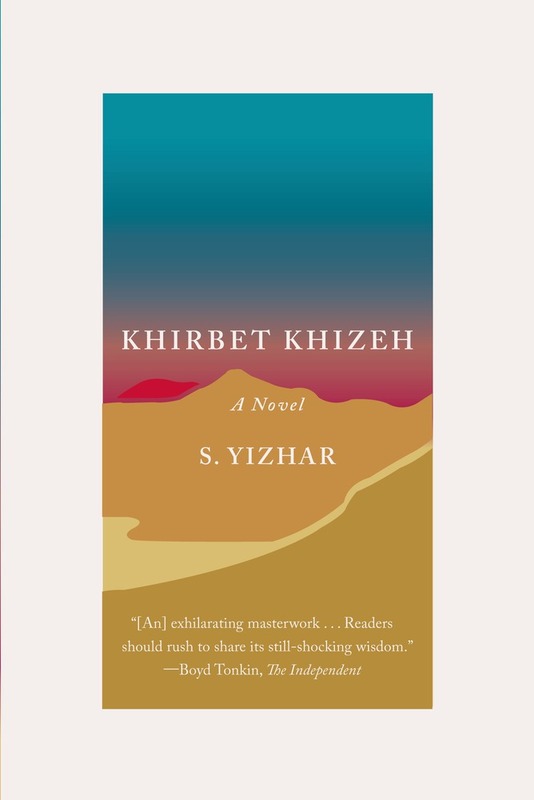 Out of his disturbing experience he produced a novella of searing eloquence, Khirbet Khizeh, which appeared in 1949 under the pen name S. Yizhar and has now been published for the first time in the United States. Its tale of a tormented soldier, reluctantly following orders to evict helpless Arab children, women and elderly men from a sorrowful village, speaks to the ambivalence of the victorious. It traces a scar of guilt into the present. In the decades after the novella’s original publication in 1949, a defensive silence descended on Israel, broken only occasionally, until the mid-1980s, when newly declassified records were mined by Benny Morris, an Israeli journalist turned historian. He documented the precise places where expulsions had occurred, findings that gradually filtered into textbooks and general knowledge so that today, Rabin would have no trouble publishing his censored paragraphs. This English translation, published in Israel in 2008 and in Great Britain in 2011, is lyrical and captivating. But for those who can read the original Hebrew, the scholar David Shulman writes in an afterword, Smilansky’s brushes with biblical allusion are more apparent. The level of Hebrew may foil young Israelis, which may be one reason—alongside the novella’s wrenching portrait of the country’s early sin—why the book has been assigned unevenly by high school teachers, despite being “in theory, still an optional part of the standard curriculum,” Shulman says. When it was made into a film in 1978, the Education Ministry lobbied hard, in vain, against Israeli television’s decision to broadcast it. From a hill, the village of Khizeh seems dead and silent. A machine-gunner wakes it up by peppering it with bullets. Small figures run in distant fields; the gunner tries to shoot them, misses, is replaced by another who wants his chance. The unit descends into the town echoing with “the emptiness of sudden catastrophe,” then into sharply etched encounters with terrified old men, mothers with children. Smilansky has the writer’s power to depict the powerless. And then comes the prescient line: “We could also see how something was happening in the heart of the boy, something that, when he grew up, could only become a viper inside him, that same thing that was now the weeping of a helpless child. If this book were translated into Arabic and taught in Palestinian schools, students would find justification for their historic rage. But they would also see their enemies’ conscience, even if it struggles in vain against the outcome. David K. Shipler, The New York Times Jerusalem Bureau Chief from 1979 to 1984, is the Pulitzer Prize-winning author of Arab and Jew: Wounded Spirits in a Promised Land, which will be published in a revised edition next fall.